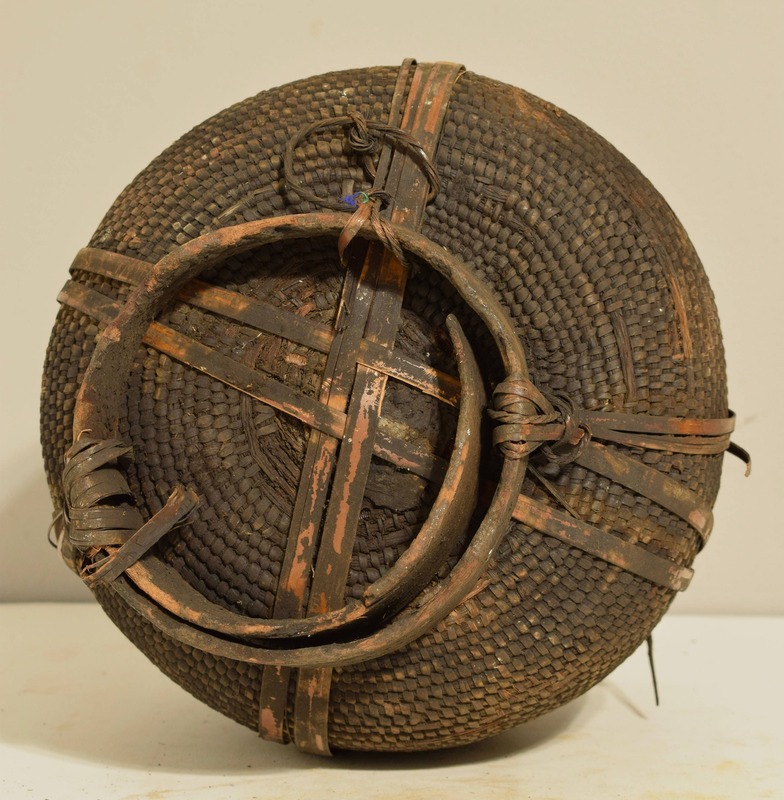 This is a Vintage Rattan Coiled and Leather Handled Honey Basket that sits on a Wooden Frame from Cameroon. Honey has been a valued commodity in Cameroon for ages, and now a growing number of local groups have found it a viable means of support. 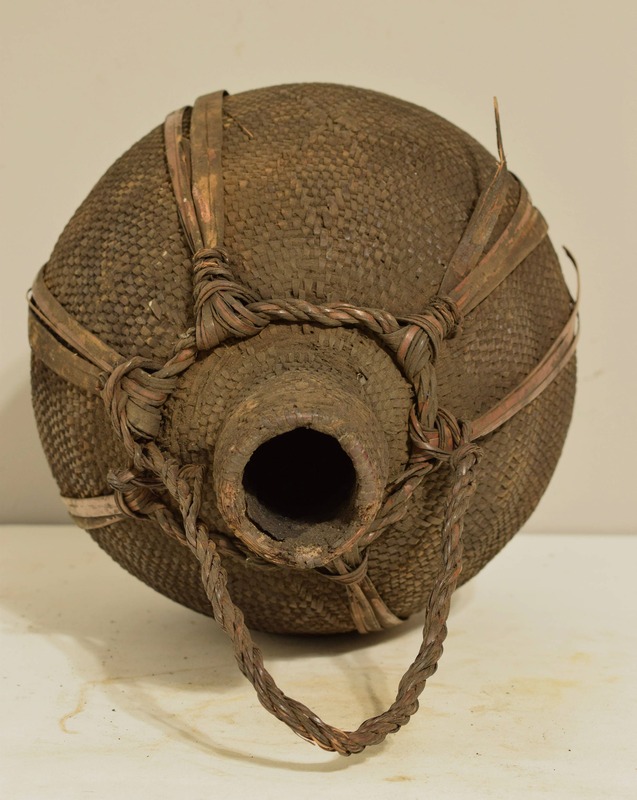 This basket was made by women using traditional tools and indigenous trees. Bee Keeping became another source of income and producing honey was expected to contribute to the reduction of poverty as well as changing the soc-economic and ecological environments of this region. 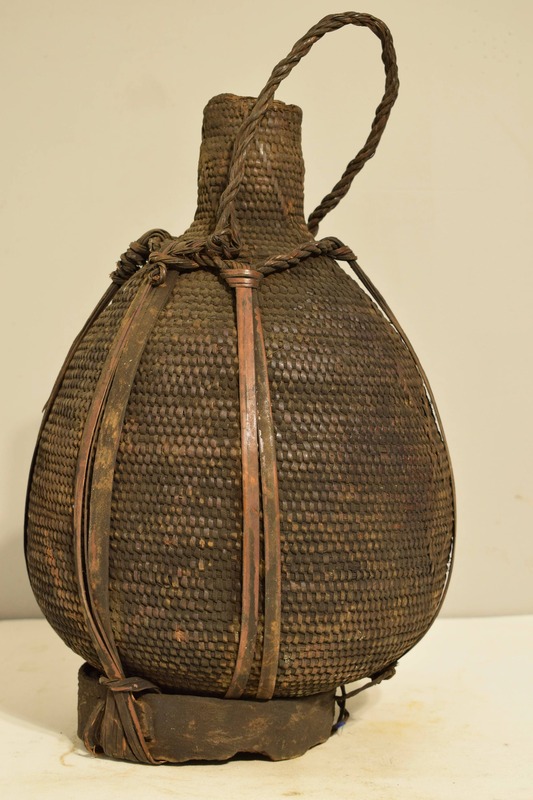 Men go out to collect and gather honey, which is the can be a very dangerous task. This natural sweetener is needed in traditional diets. 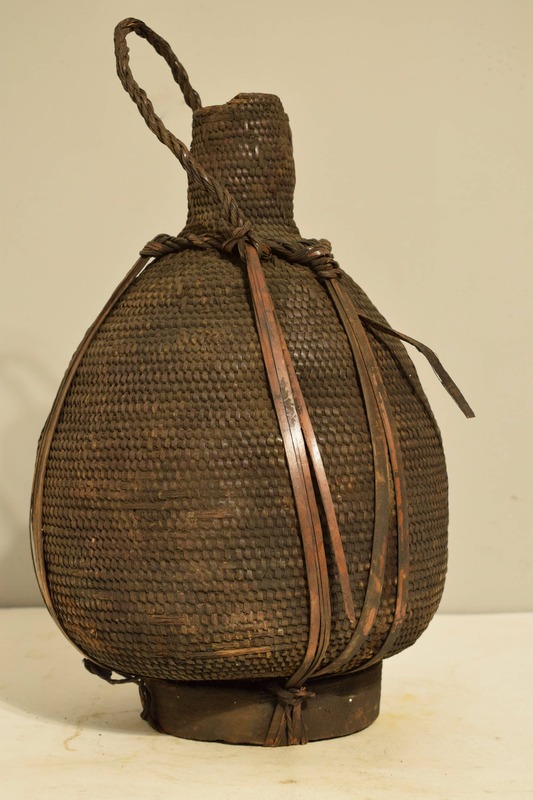 This is a unique woven honey basket and would be a great addition to your collection or home. 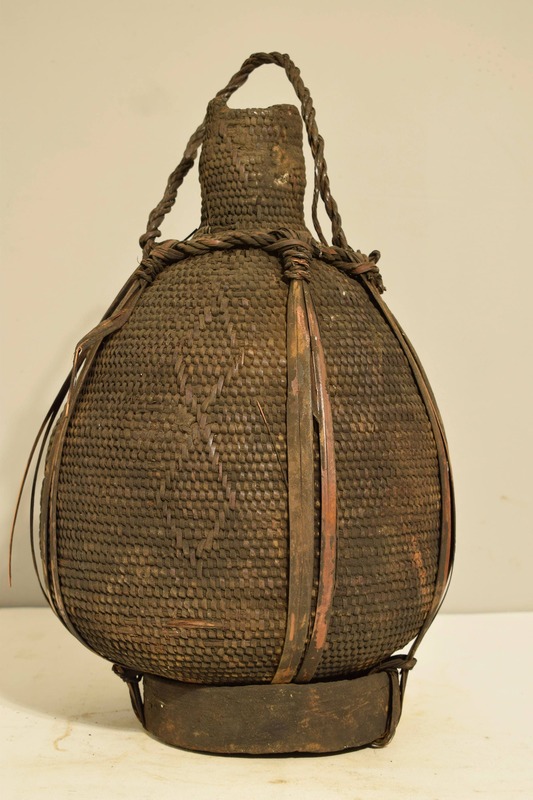 Shows age, some discoloration, but overall in good condition.